A true leader is not always the most knowledgeable person. One of the overrated leadership traits is established with a strong vision and lead the people to follow that vision. When it comes to leadership traits we can learn few things from every leader. UAE has a history of many heroic leaders and one of them is Sheikh Zayed Bin Sultan Al Nahyan. Born in the year 1918 in Al-Hosn Palace, Abu Dhabi Sheikh Zayed was raised with a silver spoon. His character started building when he was a child. The desert taught him resilience, patience, determination, and self-respect. Despite the cruelty, he managed to keep his heart clean and developed a sense of compassion for people around him. If there is one thing that can be said for Sheikh Zayed Bin Sultan Al Nahyan it is that he was born to do great things. The late Sheikh Zayed Bin Sultan portrayed a great level of vision and was a reputable member of the Muslim Ummah. When Sheikh Zayed took over power from his brother in the year 1966, UAE was jumbled-up in the western lifestyle. Right from the start, Sheikh Zayed Bin Sultan had this vision to transform the western technological society into a lifestyle which is a fusion of Islam with modern tech. And it is the foundation of Sheikh Zayed that UAE gained so much attraction from all over the world. Father of UAE, Sheikh Zayed Bin Sultan Al Nahyan understand the problems of his people. He is concerned about the poor economic & social conditions of his people. 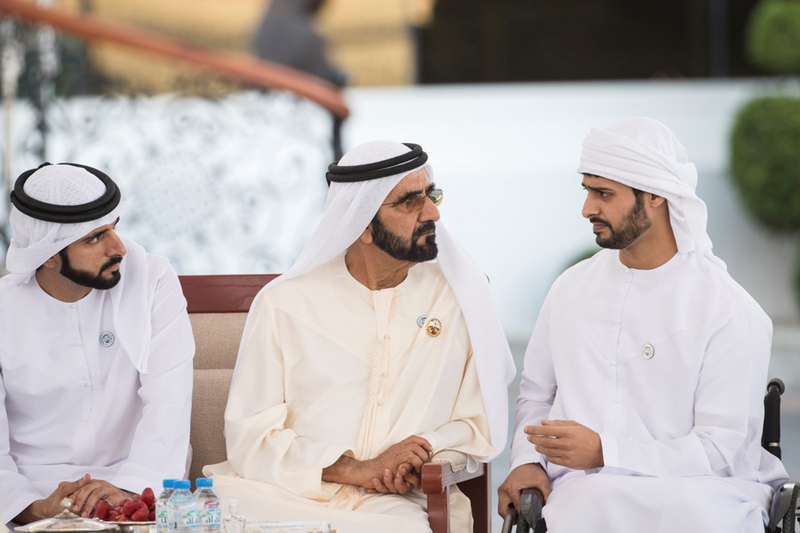 And this is why he took initiatives to improve the conditions of the people living in the Emirates. According to Sheikh Zayed Bin Sultan honesty, devotion, and truthfulness are the founding pillars of leadership. He provided opportunities to people by building the infrastructure of UAE. He offered a supreme level of living standards to his people. An environment where people can grow, prosper and progress without worrying about the environment. For Sheikh Zayed achievements, UAE even marked the year 2018 as ‘Year of Zayed’. 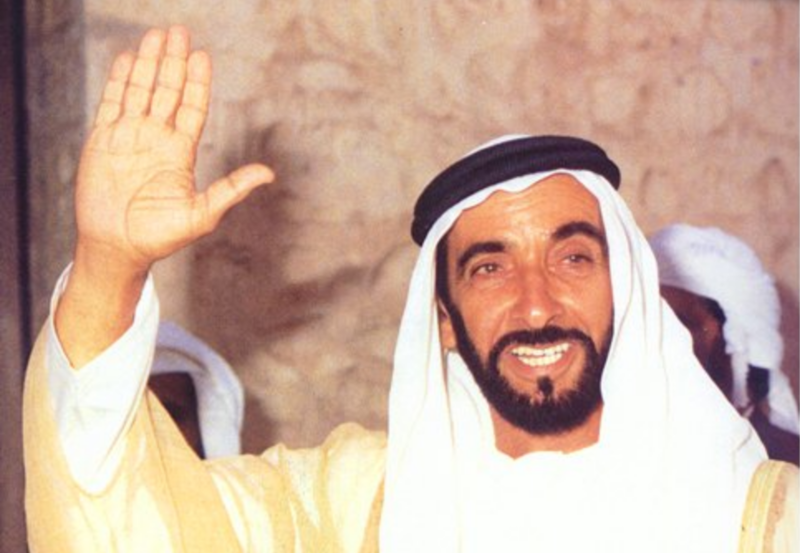 In the leadership of Sheikh Zayed Bin Sultan experienced exponential growth. We specialize in brand storytelling. Develop your Corporate Brand Identity with Branex! 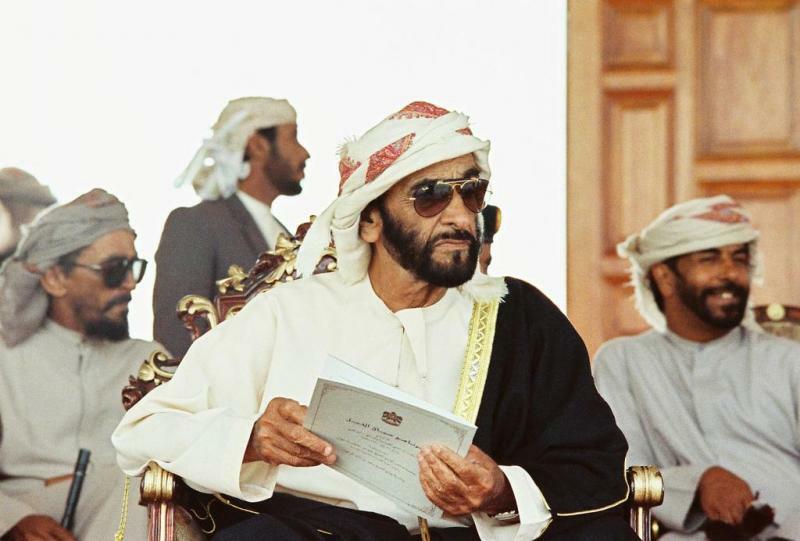 Making wise use of the oil revenues that had begun to flow, Sheikh Zayed drew up ambitious plans for development, focussing initially on the creation of the infrastructure. Apart from the humanistic qualities of Sheikh Zayed Bin Sultan Al Nahyan he revived the new generation by setting an example of going for challenging goals. His problem-solving abilities were exceptional. He met with dozens of global leaders and everyone was startled by his charismatic character and infectious optimism. As a leader, he held strong beliefs who gave him perspicacious problem-solving skills. 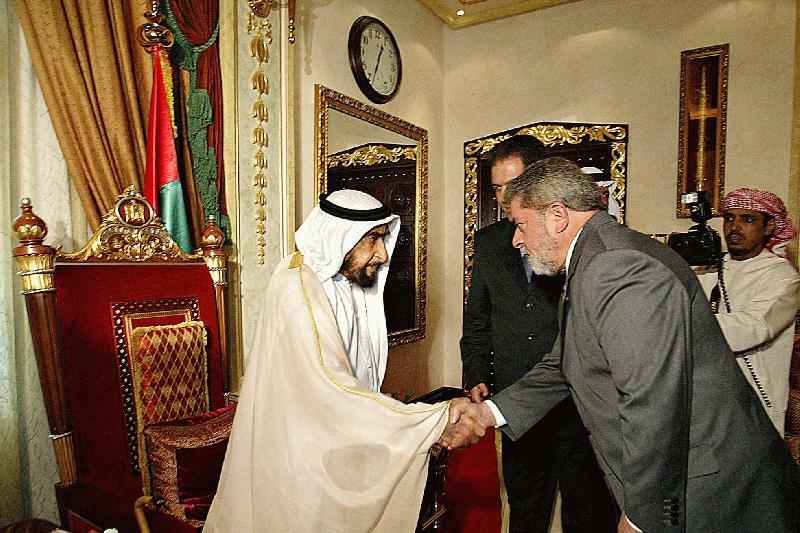 Whether it is dealing it with national or international leaders of Sheikh Zayed Bin Sultan is quite popular for holding peaceful negotiations for resolving disputes. He has this quality of drawing clever conclusions from his gut feeling. In Iraq, Afghanistan, and countries across the globe, the policy which is adopted by Sheikh Zayed Bin Sultan Al Nahyan ruminates the good fortune Sheikh has for his country. He cleverly governed the oil revenue policies for the betterment of the country. The Zayed Charitable & Humanitarian Foundation which is equivalent to the Red Cross Crescent Society the foundation is one of the biggest charitable organizations in Abu Dhabi. Because of this, the country is providing relief and development assistance to other countries. Every leader can communicate well but to turn a no into yes and agree upon the most critical areas is an art. Sheikh Zayed Bin Sultan Al Nahyan is known for artful communications and turning the tables in his direction with his peace talks. Sheikh Zayed has this ability to bring all the people of the tribe on one page. And for this reason, he managed the stakeholder position in a strategic manner. 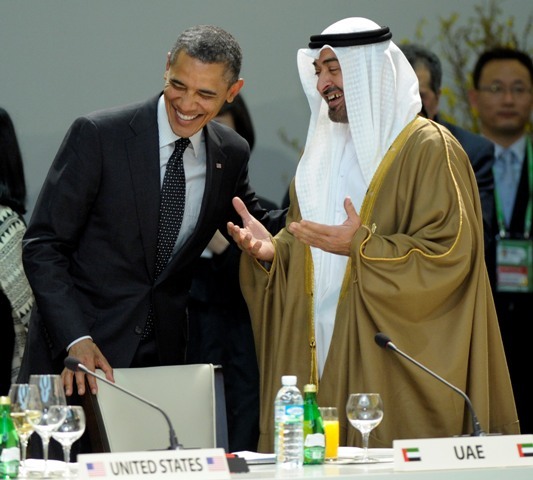 He adopted Arabian Bedouin traditions of consultation & consensus. In an informal manner, the same principle is practiced in the council known as Majlis in an ‘open-house’ manner. The communication system was formalized in the National Consultative Council in the year 1970. Based upon this principle in the year 1971 the Federal National Council was formed as the state’s parliament. Nine years have passed since the father of UAE passed away, and here we are still discussing him. This tells the power of a true leader. Despite his death, Sheikh Zayed Bin Sultan is still remembered in a positive way. We all can learn from Sheikh Zayed achievements and how he managed to establish a charismatic personality which was respected & remembered in the most meaningful way. Branex, a digital design agency greatly appreciates the efforts of courageous hero and the exceptional contributions he made to serve his country. His son Sheikh Mohammed Bin Zayed Al Nahyan is a great leader who is working hard for the development of the UAE.